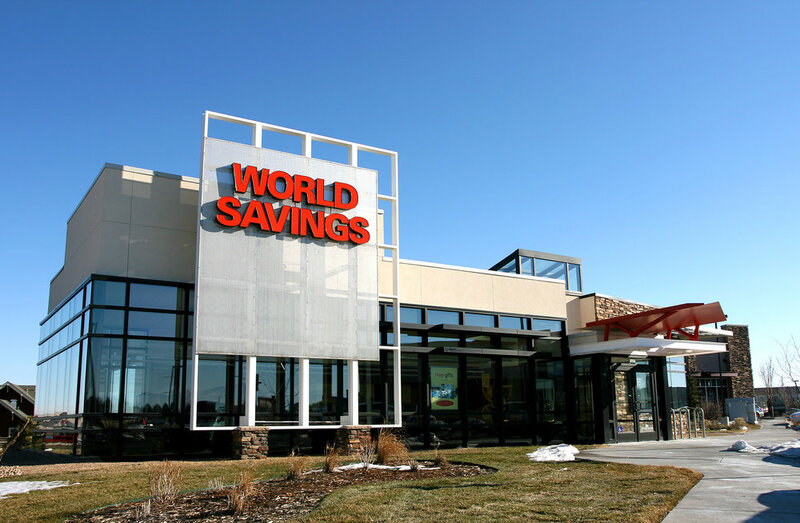 World Savings is extending their service to the Longmont community by building a new branch on a corner site of a shopping center. Public spaces are transparent, using glass to relate inside to outside; in contrast, back of house areas are solid to maintain privacy. Clear visibility provides a strong retail presence, while the sunscreen doubles as a signage element to provide and enhance building identity.